Nebraska Methodist College programs are designed to fit the needs of a diverse student population. From certificates, to accelerated bachelor's degree programs to Master's and DNP, online options, and on our beautiful campus in Omaha, NE. NMC helps students follow their passion in the nursing field. 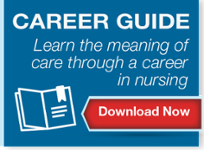 See what nursing degree is right for you!